Have your HR policies and procedures changed with legislative changes? Have your processes been reviewed and updated with the latest HR trends? The HRINC HR audit gives you a frank and independent review of your policies, processes and procedures and helps you take practical and actionable steps to adapt to the changing environment. 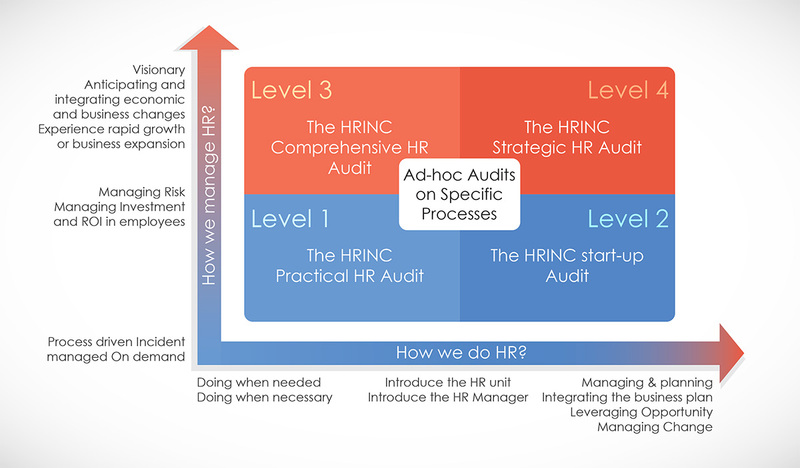 The HRINC HR Audit is an extremely powerful tool, to help you understand your “current status”, strengths and weaknesses and set a strategic and prioritized plan as to moving forward and managing your Human Resource Function and employees more strategically. We have an Audit package just right for your phase of enterprise development! HRINC HR audits help big and small companies, embark on a structured and informative process of reviewing their HR function, even if it does not formally exist. The process involves a structured review of current practices, policies and procedures to identify pertinent risk areas – whether financial or compliance related and to highlight the strengths and weaknesses of current HR implementation. Different Audit Levels allow clients to select an appropriate audit given how the individual business is developing. 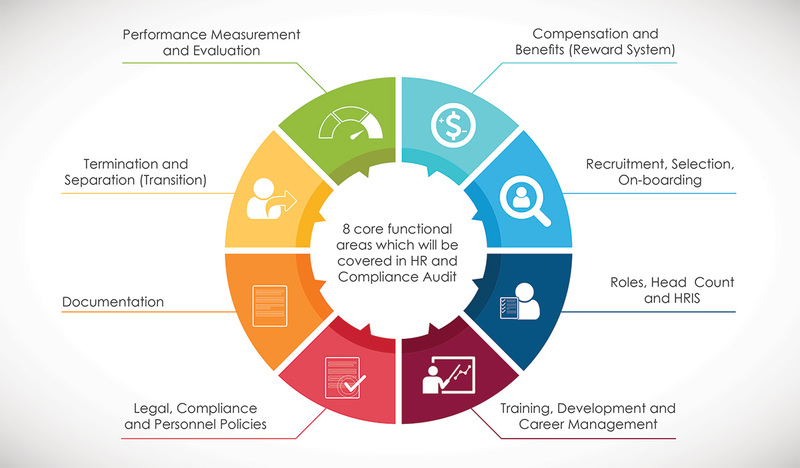 What the HRINC HR and Compliance Audit Measures?